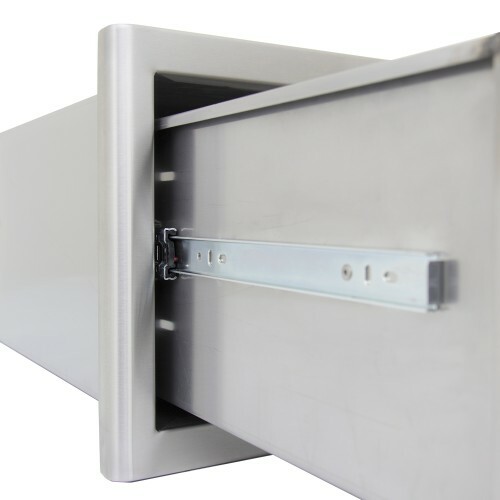 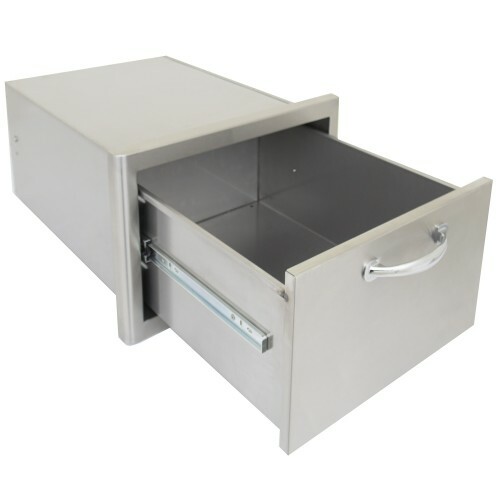 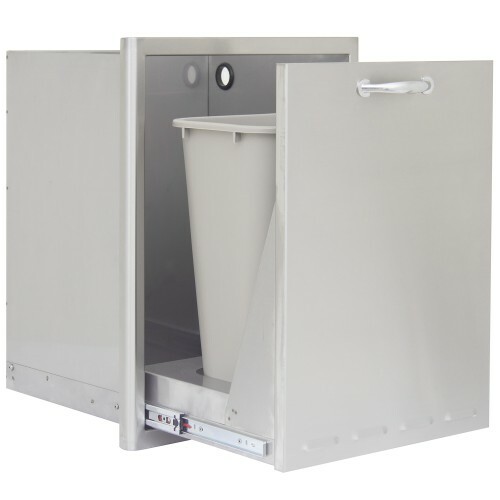 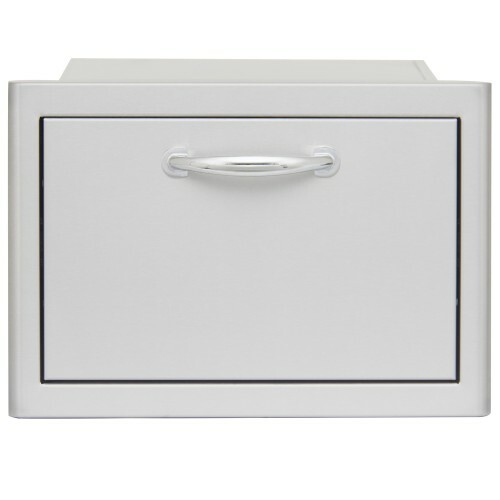 This Blaze Single Access Drawer features clean design elements and quality construction using commercial grade 304 stainless steel that can stand up to the outdoor elements. 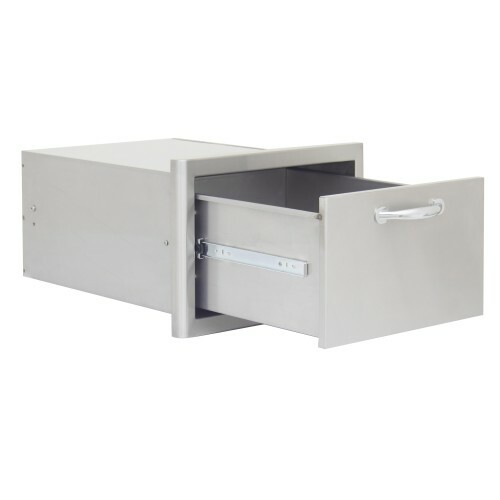 Accented with curved handles and a unique, completely rounded bevel design, this drawer provides that quality touch to your outdoor kitchen or BBQ island. 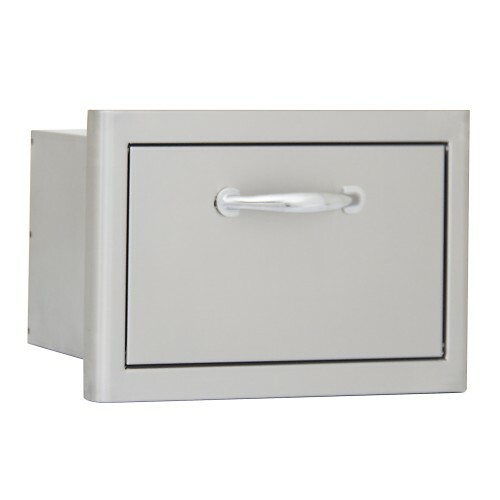 Blaze storage drawers are the perfect outdoor storage solution! 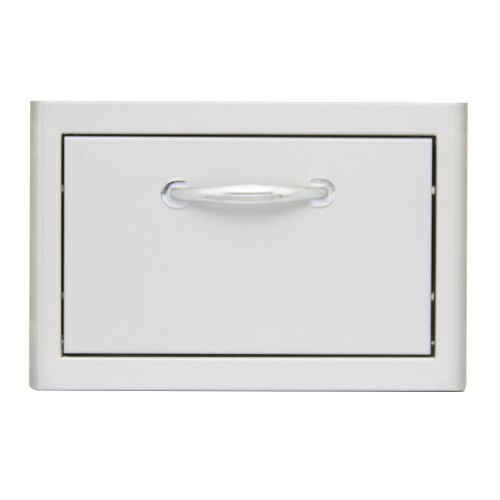 Drawer opening measurements 12 3/4W x 9 1/4W.